too bad you did not actually read the book. Interestingly, I’ve recently entertained two views on Collectivism. The first is the criticism, the second is a reprise in light of China’s emergence. The two hardly satisfy any debates, but the important lesson for me is to be on guard against naively taking history as a final arbiter on anything, and to remain constantly vigilant and critical of ideas, no matter their merit. Thanks for response and pointing out the articles. I will definately read them. From the historical point of view, this book could be interesting for you, since it describes different forms of collective practice in different cultural contexts after modernism. 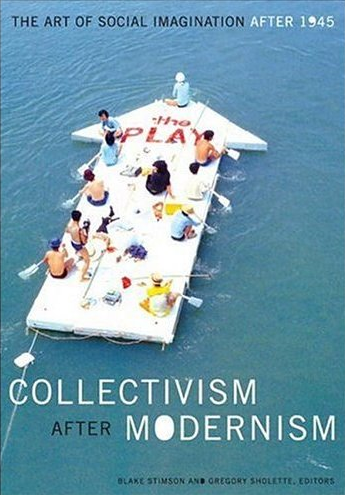 Unfortunately it makes little effort to point back to modernism – hence ‘collectivism after modernism’ of course – and that is a pity. In the beginning of the 20th century art movements operated as highly organized collectives, think about the surrealists for instance, with regular meetings, collective statements, strategies and voting on new members. They referred strongly to marxistic ideology as such and that is quite interesting I think. You can find some signs of the relevance of it in the book since it describes how after WW2 there was a strong anti-collective and highly individualistic tendency among American artists. Working in a collective was thought to be suspicious and smelled like communistic.